The 2D coding system should be mandatory for all drugs in Ukraine. 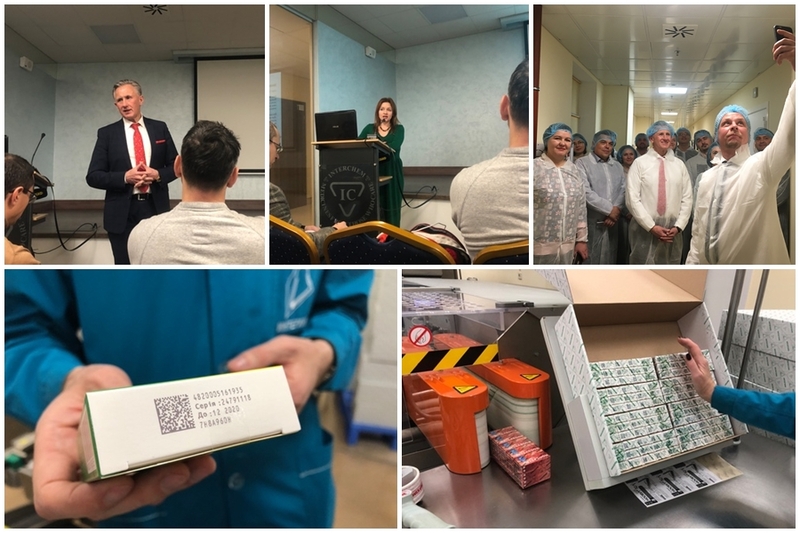 This tool will allow not only to free the market of medicines from counterfeit and counterfeit goods, but also to guarantee every citizen of Ukraine the treatment with drugs of proper quality. 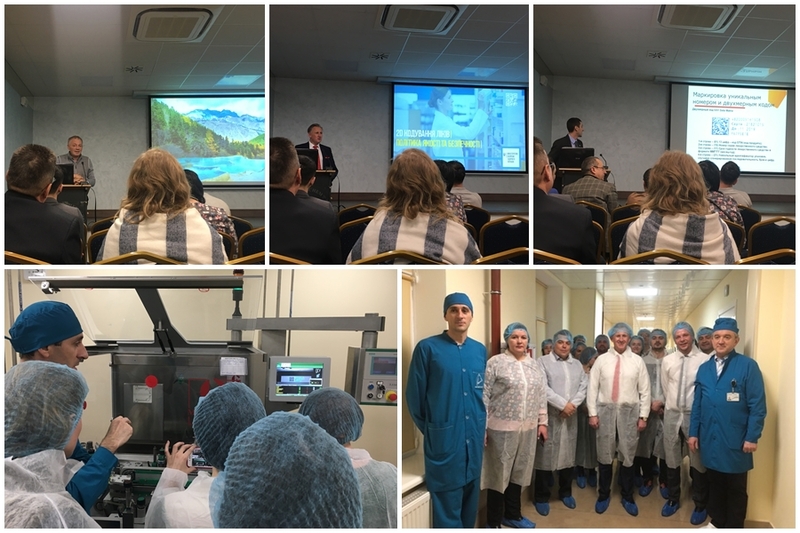 This was announced by Deputy Minister of Health Roman Ilyk during a round table in Odessa on November 23, which was held on the basis of the Interkhim pharmaceutical company, the only enterprise in Ukraine to date, which has already introduced a system of applying 2D codes to each package of the finished drug for further tracking them. During the 3 years of 2D coding, the company collects information on the demand for its products and predicts production volumes for the next year. Also, this mechanism allows you to verify the originality of the drug and its quality by scanning the code and entering a combination of read characters on a separate page of the company's website. "The introduction of 2D coding is a very powerful tool, the introduction of which could well change our understanding and reality of the existing drug market in Ukraine. After all, it not only guarantees that the drug is not falsified, expired or imported into the country in violation of standards, but also protects the responsible pharmaceutical business. Mandatory coding will be implemented in parallel with the automated drug turnover tracking system, an information database that will contain All the information about each package of the drug is from the actual production to a specific patient who purchased it in a pharmacy, "the deputy minister said. According to the World Health Organization, currently every 10 drug packages in low- and middle-income countries is counterfeit. Similar statistics apply to counterfeit medicines - drugs entering the Ukrainian market illegally or without proper verification. "So, theoretically, by simple mathematical calculation, at best, only 8-9 out of 10 drugs can be qualitative. The uncontrolled circulation of prescription drugs in Ukraine leads to an increase in self-treatment. This is one of the flagships of the causes of complications and premature mortality in Ukraine. As you know , the percentage of people engaged in self-treatment in Ukraine is about 69%, "said Roman Ilyk. The drug 2D coding policy is not new. It is successfully implemented in many countries of the world. From February 2019 will become an obligatory norm for the countries of the European Union. for the third year - for all medicines, without exception, sold in Ukraine. But one of the proposals of pharmaceutical manufacturers provides for a different phased introduction of the policy: the first year for all drugs of foreign manufacture, the second year for all used in hospital treatment, and the third year for all without exception. The pharmacy institution, the composition of the medical institution and the responsible persons of the medical institution will daily transmit information about the received medicines with the indication of the unique packaging codes to the automated system for tracking the turnover of medicines. Participants in the circulation of medicines (distributors, pharmacies, medical institutions, etc.) daily transmit information on the return, expiration date, damage, loss or utilization of medicines to an automated system for tracking drug turnover. The control authority will receive and analyze information on the movement of medicines - from the manufacturer or importer to the final point of sale. Representatives of pharmaceutical companies participating in the round table support the initiative of the ministry. There are some debatable issues of technology, tracking methods and the transition period, which participants expressed a desire to work together in more detail. The experience of InterChem shows that, thanks to 2D coding, they collect real information about the demand for their products in each region over the course of three years and plan production volumes for the next year. In addition, buying the drugs of their production, you can be sure of their authenticity and quality. The next steps of the Ministry of Health of Ukraine is the introduction of amendments to the regulatory legal acts that will become the basis for the implementation of the policy. As Marina Slobodnichenko noted, the external legal expert of the Ministry of Health of Ukraine on the implementation of the drug tracking system, the introduction of a 2D coding system complies with individual directives of the Association Agreement between Ukraine and the EU and therefore is the real embodiment of the European integration vector of our state. However, for the actual implementation of this policy, it is necessary to make some changes to existing legislation and regulations.